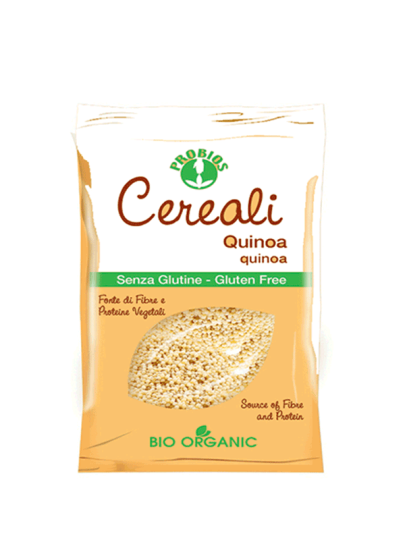 Probios gluten-free cereals are a valuable foundation for preparing many recipes: with the addition of vegetables, compotes, soups and many other dishes. Quinoa (Chenopodium quinoa) is not a true cereal, but a herbaceous plant. It was grown 5000 years ago by Anda, which is still the main foodstuff today. The Inks worshiped the young man as a holy plant called "the mother of all the seeds." Its nutritional characteristics make it an excellent source of protein and fiber.